For the past several years, Gran Pacifica and Tranquilo Tours & Travel have been participating in the preservation of the giant sea turtles in Nicaragua by housing a turtle sanctuary on the grounds. A few days ago 60 baby sea turtles were released into the ocean. At Gran Pacifica, we love bringing people together to serve our local communities. On February 15th, we were pleased to receive visitors from several international chapters of the Rotary Club. 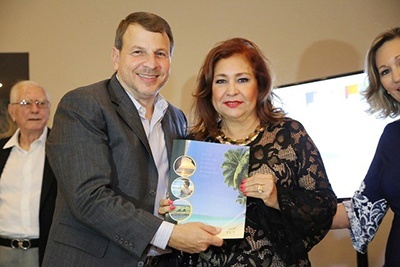 Nicaragua Turismo E Inversion Magazine celebrated their third anniversary at the Hard Rock Café in Managua with the launch of the “Explore Nicaragua Tourist Directory 2018”. A large gathering of tourism entrepreneurs - including hotel and resort owners, restaurateurs, media, and other prominent personalities - attended this event. For the longest time, when it came to choosing a vacation hotspot in Latin America, Nicaragua has been over shadowed by its neighbors and overlooked by travelers and tourists. Now Nicaragua is on the brink of a tourism boom. Recognized by Forbes, as “One of the 10 Coolest Cities Around the World to Visit in 2018”, is the City of Leon. 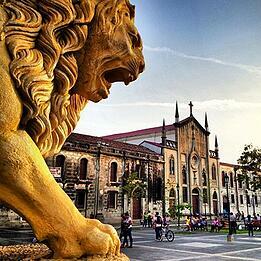 Only an hour from Managua, and an hour and half from Gran Pacifica Resort, sits the gorgeous colonial city of Leon. Leon is full of important history that shaped Nicaragua into what it is today. 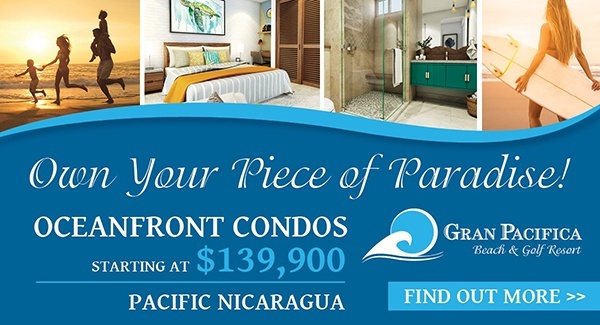 There are always a number of great things happening at Gran Pacifica. Our newsletter this month focuses on some of these positive events and the great people behind them. For the past several years, Gran Pacifica and Tranquilo Tours & Travel have been participating in the preservation of the Giant Sea Turtles in Nicaragua by housing a turtle sanctuary on the grounds. Recently, 60 baby sea turtles were released into the ocean, and these numbers are increasing. If you have never witnessed these little creatures taking the first steps in their journey to the ocean, be sure to come visit us for this heartwarming event. 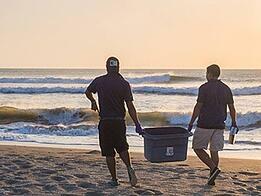 At Gran Pacifica, we love bringing people together to serve our local communities. Recently we received visitors from several international chapters of the Rotary Club who came together to donate a much-needed water well for the newly constructed Robert Clemente III Clinic just down the road from Gran Pacifica. We would like to say “Happy Anniversary” to Nicaragua Turismo E Inversion Magazine, who celebrated their 3rd Anniversary at the Hard Rock Café in Managua with the launch of the “Explore Nicaragua Tourist Directory 2018”. A large number of tourism entrepreneurs - including hotel and resort owners, restaurateurs, media, and other prominent personalities - attended this fun and exciting event. It is no surprise that Nicaragua, aka “The Land of Lakes and Volcanoes”, is becoming the preferred vacation hotspot in Latin America. 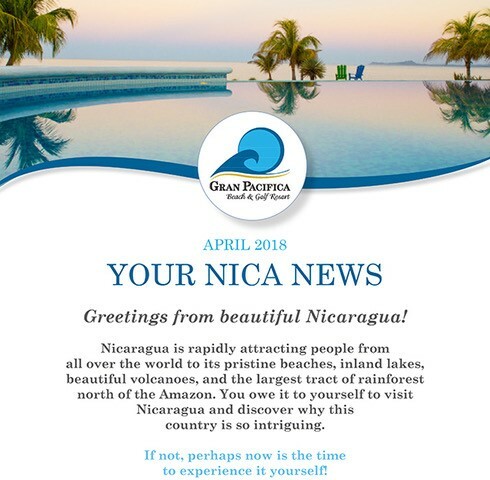 It is on the brink of a tourism boom for many reasons and the thriving adventure tourism in Nicaragua is expected to increase 10% per year from this point forward - great numbers indeed. I’ve known for a long time how “cool” the City of Leon is, and Leon has recently been recognized by Forbes as “One of the 10 Coolest Cities Around the World to Visit in 2018”. With close proximity to both Managua and Gran Pacifica, the beautiful City of Leon can be explored in a day, but it will beckon you again and again with its incredible history and gorgeous Spanish-Colonial architecture.